Although Methodist missionaries ventured into the Belgian Congo before John Springer, notably Bishop William Taylor with the Methodist Episcopal Church in the late 1800s, Springer’s enterprising evangelistic explorations in the early 20th century are credited with the founding of the present-day United Methodist Church in the Democratic Republic of the Congo. John Springer was born in Wisconsin in 1863, the son and grandson of Methodist Episcopal preachers. After graduating from Northwestern University and receiving his Bachelor of Divinity degree from Garrett Biblical Institute in 1901, Springer set sail for Africa to begin work with the Methodist Episcopal Church as it reconstituted its Africa missions. All that was left of Bishop William Taylor’s work in the Congo and Zambia, where 55 missionaries had served in the 1880s and 90s, were two mission stations. Taylor’s successor, Bishop Joseph C. Hartzell, closed one of those missions and transferred the other to Swedish missionaries. He decided to concentrate his efforts in the viable stations of Angola, Mozambique, and Rhodesia instead. Rhodesia, present-day Zimbabwe, is where a young John Springer began work at Old Umtali (Mutare today) in 1901. That same year Helen Emily Chapman Rassmusen arrived, returning to mission service after the deaths of her husband and son, likely from illnesses contracted during their previous mission assignments in the Congo with William Taylor’s earlier outreach missions. By 1905, John Springer had become mission superintendent of Old Umtali and he and Helen were married. Both John and Helen were skilled at getting into the villages—Helen was an excellent linguist—meeting, talking with, and gaining the confidence of the indigenous people and leaders. In 1905, they set out riding donkeys on a two-week trip to see what was north of Old Umtali, accompanied by 10 African porters. They held William Taylor’s dream in their hearts and determined that they should follow his original plan into the Congo to open mission stations. They mounted a second expedition in 1906 for more extensive exploration to Murewa and along the Zambezi River valley to Mozambique, taking two months and covering close to 1,000 miles. Late in 1906, Hartzell decided to send the Springers home to the United States for itineration—but the Springers chose to go with 50 African porters by way of a long western route that took more than six months to complete. That trip, during which Springer nearly lost his life, enabled them to reach the Belgian Congo border—1,500-miles. They finally made it to New York in October of 1907. Bishop Hartzell believed opening work in the Congo would be an over extension for his missionaries and he did not know how he would pay for more personnel to bring the Springers’ dream to fruition. More than once Springer sparred with his New York mission secretary, Adna Leonard, who declared that divine inspiration, was not a good excuse for John to ignore his bishop and strike out on his own. But John and Helen were also gifted speakers, so when they returned from the United States, they came with sufficient funds from itineration to support the new work, and Bishop Hartzell relented. With the funds in hand, who was to say the plan wasn’t God’s will? Rather than returning to Old Umtali in 1910, the Springers began to establish work in the Congo. With additional missionaries, they had opened mission stations in Kananga, Kambove, and Lubumbashi by 1917. In all of this work, the stations were staffed by a few missionaries and many Congolese workers, as they established training schools along the way. A good number of their early workers were Congolese people who had been sold into slavery and taken to Angola, where they encountered Methodist workers. The enslaved workers bought their own emancipation and returned home to the Congo to live and work near the mission stations. Springer continued to be a somewhat controversial figure for the MEC. Bishop Eben Johnson, who took over for Bishop Hartzell, had to move the Springers back to Zimbabwe from 1921 to 1924, where John served as mission superintendent for the Mutambara station, because Springer’s own missionaries in the Congo were upset with another one of his impromptu acquisition attempts—Mulungwishi. But in 1924 the Springers returned to the Congo and John resumed his quest for Mulungwishi land, which he finally acquired in 1937, with plans to build a Congo Institute. This was later named the Springer Institute in 1941. In 1936, John Springer was elected to serve as bishop for the Africa missions. 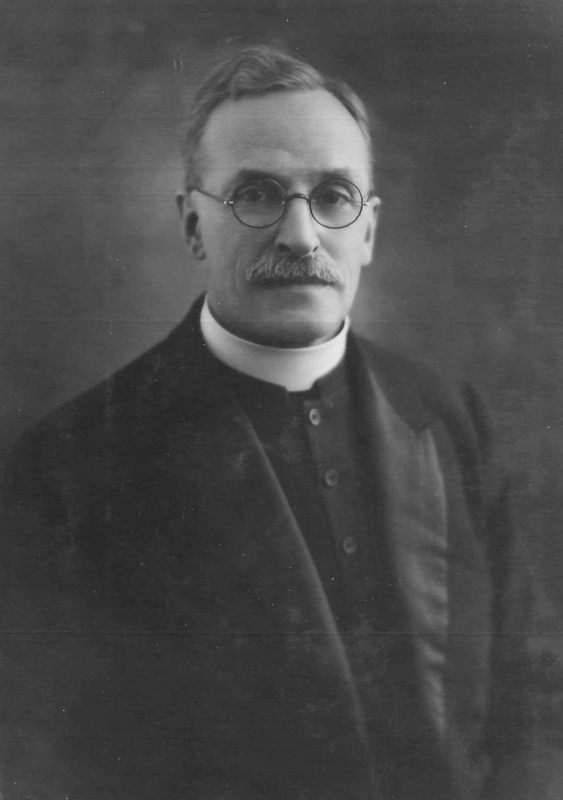 Under his watch, the missions of the southern Congo, many of which he had opened for the Methodist Episcopal Church, and the missions of the northern Congo, established by southern Methodists in Wembo Nyama in the 1920s under Bishop Walter Lambuth, were brought together under one united church. He served as the area’s bishop until 1944, when he retired. But he continued to travel back and forth between the US and the Congo to the age of 90. After Helen’s death in 1946, John married a second Helen, Helen Newton Everett Springer, a missionary serving in the Congo. Bishop Springer died in the Congo in 1963 and was buried in Mulungwishi. Christie R. House, editor, New World Outlook magazine. Sources: History of Methodist Missions, Vol 4, Twentieth-Century Perspectives, J. Tremayne Copplestone, Board of Global Ministries, New York, 1973.